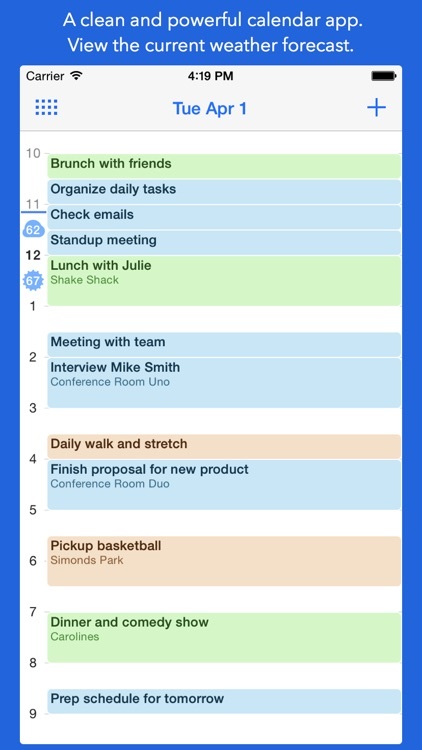 Designed for busy professionals, this lean and clean calendar app will ensure you never miss another important event. 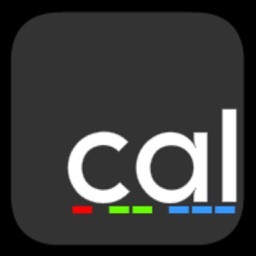 "I have tried tons of calendar apps and this is the only one that has worked for me. Simple and quick! Definite recommended! ", by Thankful001. Join our awesome users and see why they say that OneStack is hands down the simplest calendar app out there. 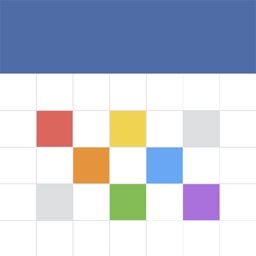 OneStack is the only calendar app that has a clean, minimalist day view that lets you see more events at a glance than other calendar apps. If you don't have time to learn all the confusing features and task management fuctionality in other apps, then use OneStack. 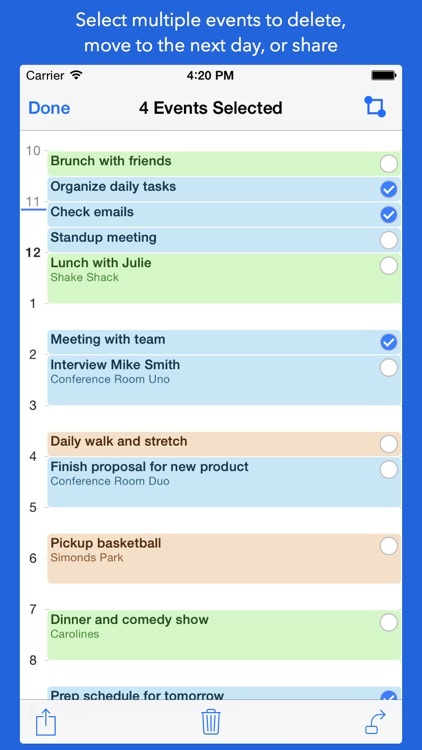 The fantasticly minimilist day view lets you add all your daily meetings, task list items, and events as simple events. 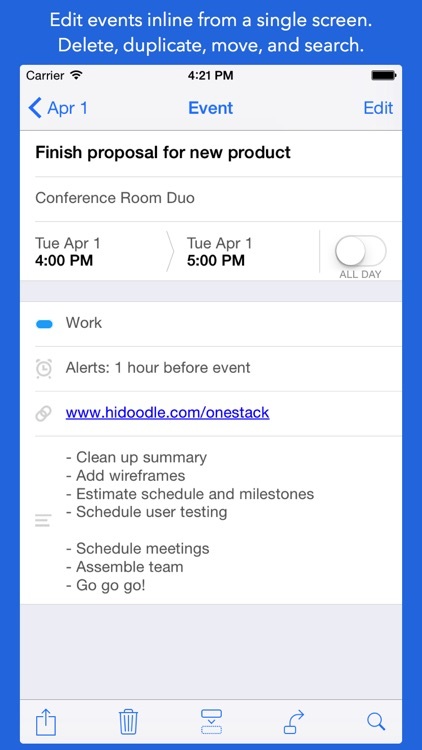 When a meeting is over, peek in OneStack to see what's next. When you've finished an event, simply delete it and continue. Use OneStack Calendar and organize your life! Our users have been loving these features that make adding, editing, and deleting events as easy as 1-2-3! 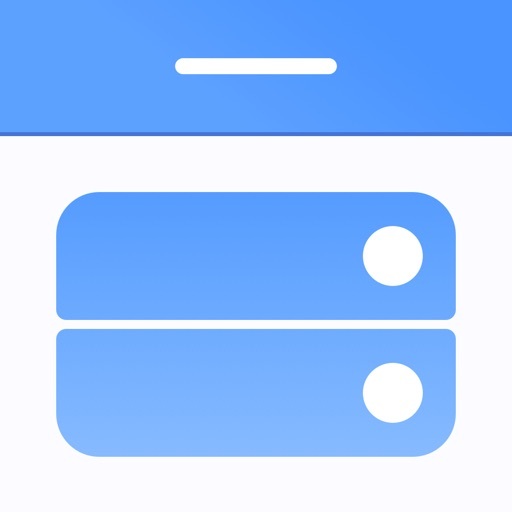 - At the end of the day, switch to the multi-select mode to easily clean up your schedule, delete events, and move events to the next day. 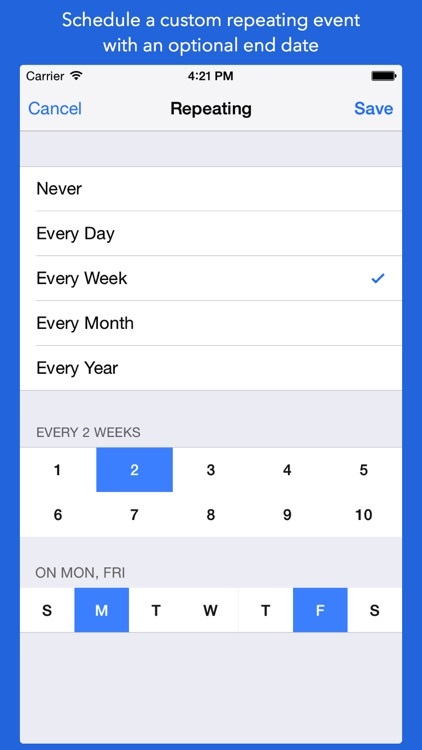 - Tip: Tap on the day view with two fingers to switch to the multi-select mode. Use the lasso tool to drag a box to select multiple events. 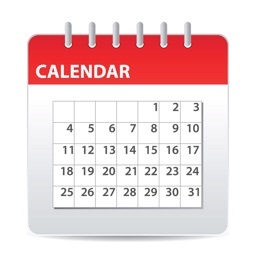 - Schedule a custom repeating event with an optional end date. - For example, schedule an event to "Go to the Gym" every Monday and Thursday that ends after 10 times. - Enable the Trash calendar to have your deleted events moved there instead of permanently deleted. - How many times a day do you delete events and see the Delete prompt? - Save a step and skip the Delete prompt by enabling the Trash calendar and disabling the Delete prompt, all from the Settings screen. - Privacy is a top priority. OneStack doesn't send any calendar or contacts data to our servers. 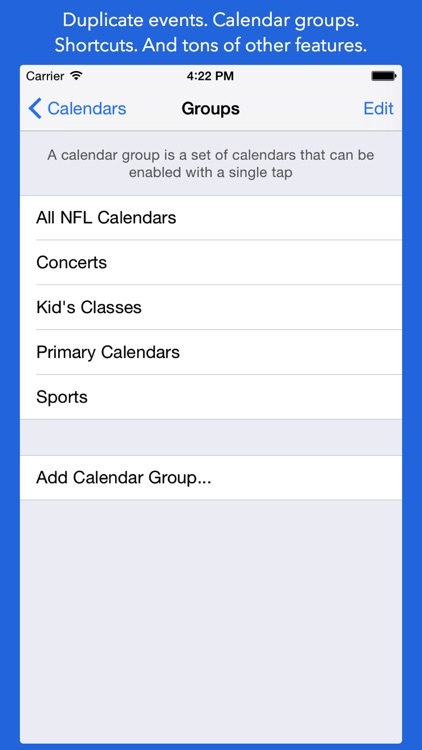 - OneStack uses your iPhone's calendar accounts that are setup on your device. These are the same accounts used by Apple's native calendar app, so you can trust its data security. 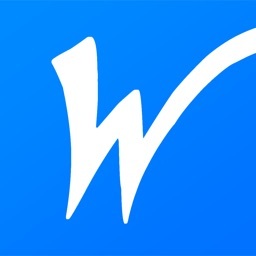 - Move events to the next day with one tap. Search for similar events. Calendar groups. Shortcuts. Customizable landscape view. And many more features. Thanks for sending your questions, comments, and feedback to [email protected]! 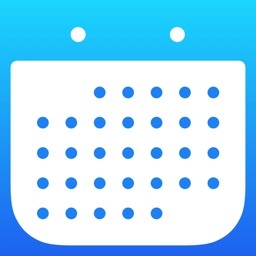 Today’s AGF list includes a calendar app, a multiplayer game, and a remote touchpad.